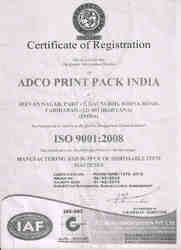 Established in the year 2002, we, “Adco Print Pack, India”, are an ISO 9001:2008 certified organization, Our Company is situated in Faridabad (Heart of India) close to Capital city, Delhi. 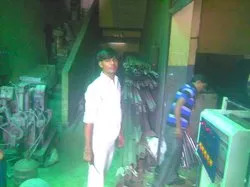 which is engaged in manufacturing, supplying, wholesaling, retailing and exporting a comprehensive assembly of Paper Cup, Paper Plate & Bowl Machines. The offered range is manufacture utilizing high-grade grade raw material, which is procured from authentic vendors, who ensure to bring it in adherence with the international quality norms and standards. Furthermore, the paper cup machines offered by us are widely acclaimed in the market for their high operation, superior performance and longer working life. The offered range of paper plate machines is admired in the market for its accurate dimensions, application specific construction and reliability. 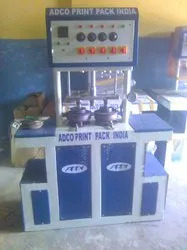 In addition to this, we are offering a superior range of Paper Cup Machines , Paper Plate Machines , Paper Cutting Machines,Lamination machines & Slitting Machines and Automatic Atm Roll Rewinding machines . This range of lamination machines offered by us is well known for its sturdy construction and abrasion resistance. Along with this, the automatic paper cup making machine offered by us are acknowledged in the market for their low maintenance, easy operation and compact design. Our organization has acquired reputed membership from prestigious names such as Faridabad Industrial Association. We are able to come up with an advanced and modern infrastructure, which helps us effectively in controlling the business related activities smoothly. The premises is appropriately equipped with advanced machines such as CNC, lathe, fabrication and cutting machines. Besides, research and development experts hired by us make sure to conduct several strict methods like modifications of existing designs, up-gradation of technology and development of application based adaptations to keep the offered range in match with the technological advancements occurring in the market. Owing to the transparent business policies and quality based approach, we are able to garner a vast customer base around the Australia/NZ, Indian Subcontinent, East Asia, South America and South East Asia. Under the visionary guidance of our sales managers, 'Mr. Mahesh Yadav / Mr. Sonu', we are able to lead among the counterparts in this domain. Their leadership attitude, wise managerial skills, admirable knowledge and practical approach, we are able to garner numerous clients worldwide.